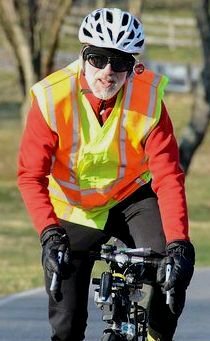 Until recently, I’d been a member of the city of Frederick Bicycle and Pedestrian Advisory Committee (BPAC). I married a lovely lady a few weeks ago, sold my home, and moved just barely across the county border wall into Mount Airy. During my six-year tenure, I kept my views fairly private because the chairperson officially speaks on all matters. I no longer need to hold back. On occasion, I’ve read some rather inaccurate and uncomplimentary statements about the BPAC. In my humble opinion, if you don’t like something, it is better to suggest ways to improve upon it than to denigrate it. The BPAC is comprised of a city staff planner, a representative from the city Board of Aldermen, and a number of city residents of varying backgrounds and interests. 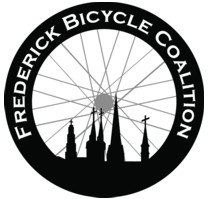 All committee members serve out of a genuine desire for improving upon the pedestrian and bicycling (bike-ped) infrastructure of Frederick. Important to note is that the BPAC does not make laws, design, build or implement anything. Its function is to advise the city on matters regarding bike-ped. It has no power (insert sad emoji here). The good: While Frederick has not seen a huge influx of money to implement the various projects in the works, the current and previous mayors as well as the Board of Aldermen have been generally supportive of these projects. They understand the benefits of bike-ped infrastructure, such as a reduction in automobile trips, better access for people to move around the city, and that these bring people to our hotels and restaurants to spend their money here. Accomplishments include the tunnel underneath the U.S. 15 ramp at Rosemont Avenue, which connects Baker Park and the city center with areas west, as well as the Seventh Street bike lane and “sharrows” (shared-use arrows) on various roads (such as Bentz Street) and improvements to the city’s off-road trail system. The bad: Getting around town by foot is still difficult in places. Drivers pay little attention to the stop lines, blocking crosswalks. There are still some intersections that are not ADA-compliant, which is a long process. Some of the old brick walkways can be difficult to traverse in a wheelchair or on crutches. Bicycling in town can be very intimidating for the non-expert rider. A bicyclist must ride along the center of many in-town street lanes or face the possibility of a parked car door opening directly in his/her path (“dooring”), flinging the bicyclist onto the ground to be struck by a passing vehicle. Many drainage grates still need replacing. City engineers are sometimes faced with the choice of implementing a best-practice bike-ped solution that slightly inconveniences motorists versus installing a poor method. You can guess which wins every time. The ugly: No infrastructure is preferable to bad infrastructure. Bike lanes that place a cyclist a couple of feet from parked cars are dangerous (the aforementioned dooring). Those that are installed to the right of a right-turning car lane are death traps — experienced bicyclists will not use those. The city could use more curb extensions that decrease the distance that a pedestrian must travel in order to cross. It will not happen due to the expense, but wouldn’t a couple of pedestrian overpasses on U.S. 40 be fantastic? (And why don’t those parking lots connect? Developers rarely deploy the best methods to incorporate bike-ped into their projects. I’ve watched them try to avoid providing any infrastructure or implement measures in order to save them a small amount of money, all the while not understanding that bike-ped infrastructure helps sell homes and increases home values. I leave behind very excellent people in the BPAC (city staff included). They are intelligent and caring, and they will listen to your concerns. The meetings are usually the first Tuesday of each month.